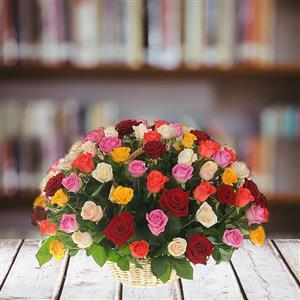 Delight your loved one by sending 200 stunning mixed roses basket and surprise him/her. A colorful assortment of mixed roses will impart a vibrant hue and will brighten up the mood of your loved one. Surpise and bewilder and make him/her smile through RGCards.com. Other Gifts to India will add charm to your gift.